The iPhone X has been on the market for two weeks and it can be said without a doubt that it is the king of smartphones of the moment. Therefore, it is not surprising that Samsung are working hard to finalize its Samsung Galaxy S9 , scheduled for February 2018. And they're better off, because the 2018 iPhone is more powerful than Samsung this year and even the iPhone 7 surpassed the Samsung Galaxy S8 in certain aspects . The rumors about Samsung's new mobile phones do not stop happening. 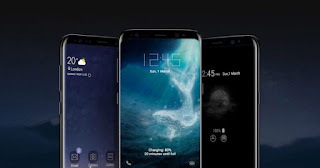 Besides knowing that they will launch not one or two, but three terminals : Samsung Galaxy S9 mini, Samsung Galaxy S9 and Samsung Galaxy S9 +, it is also known that they will have the Qualcomm Snapdragon 845 processor and the new second generation 10nm Exynos chip. We imagine that obviously they will be more powerful than the current model, because the 2018 iPhone sweeps all Android phones this year ... the problem is that the latest benchmarks show that the iPhone X is also more powerful than the processor that is at fall on Android. It is tradition that the top of Android range integrate all of them the most powerful processor of Qualcomm, the problem is that it is always usually light years in performance of Apple chips, although they strive to add much more RAM. The key? That Apple develops the hardware and software, optimizing it perfectly . 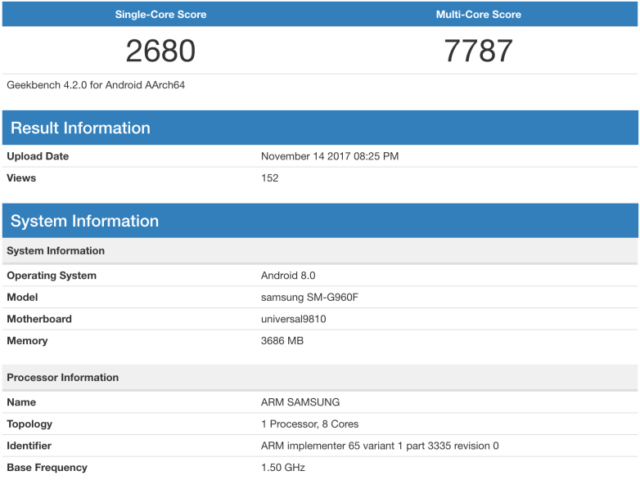 With three months to go, the Geekbench website has revealed the benchmarks for a Samsung with the model number SM-G960F, which is believed to correspond to the global version of the Samsung Galaxy S9 with Exynos 9 Series 9810 chip with eight cores, 4 GB of RAM and Android 8.0 Oreo . And the results are impressive, but there is a big problem: they are surpassed by the iPhone X, iPhone 8 and iPhone 8 Plus , that is, the Apple models of 2017. In fact, in the case of the iPhone 8 it would still be more overwhelming , since they have lower screen resolution.